Northern elephant seal pups born in the winter, spend their first 4 weeks with their mothers in a harem. 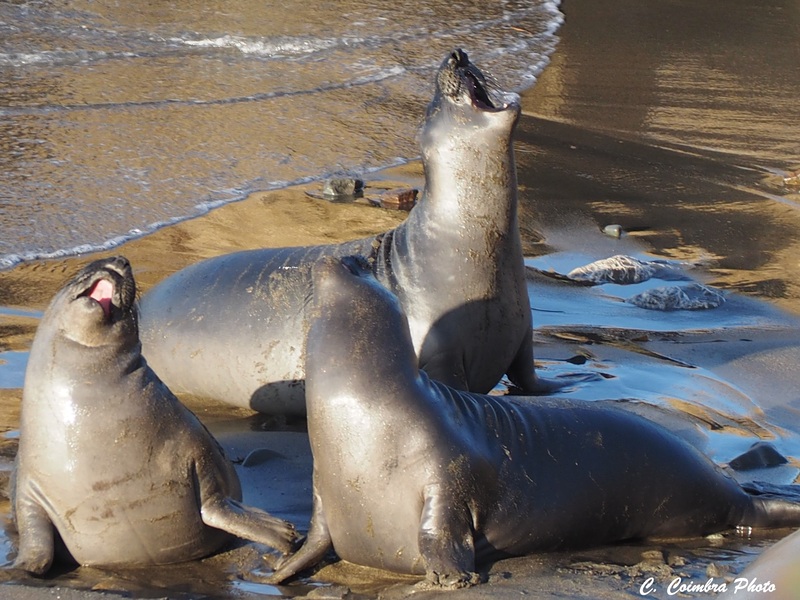 After 4 weeks and a gain of about 10 pounds per day from a birth weight between 60-80 pounds, the 300 pound pup becomes a weaner when its mother returns to sea. The weaners rest unit about March, a time when most of the adult males and females have returned to sea. In March these youngsters teach themselves how to swim and dive. About the time April rolls around, they, too, leave the beach for the sea. The next time they return to their birth beach is around September.